I'm Allison Symes. I write fairytales with bite usually as short stories and novels but I also write the occasional poem. 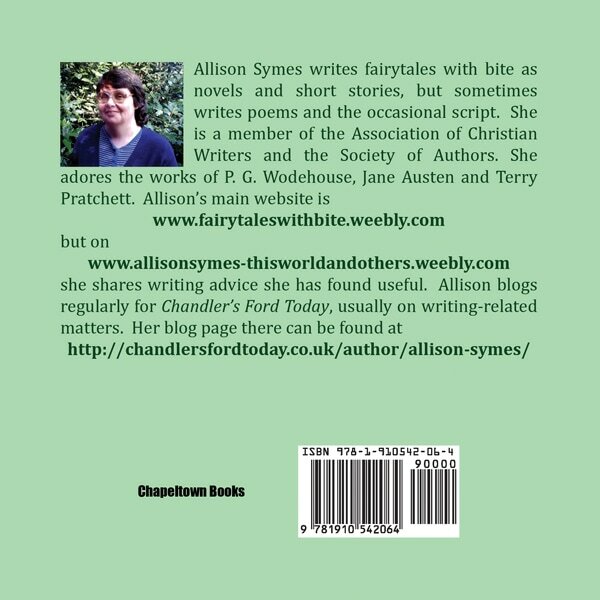 I'm a Christian who loves tennis, Jane Austen, Terry Pratchett and P.G. Wodehouse but not necessarily in that order. I love reading and writing and cannot imagine a world without books. 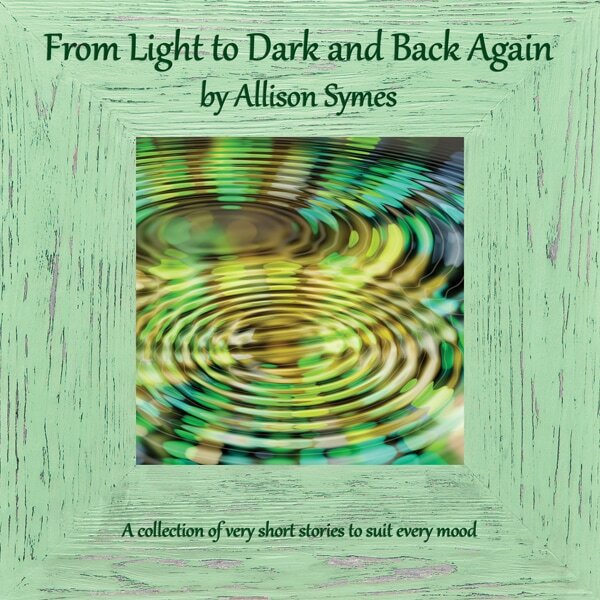 I'm the author of flash fiction collection, From Light to Dark and Back Again (Chapeltown Books). I write quirky fiction, often humorous, sometimes darker in mood. This collection has funny fairytales, darker character studies, and some crime and borderline horror tales. I write 100 word stories, 500 word stories, 750 word tales and all of these are represented in this book. GLAD TO SAY ﻿PAPERBACK AND KINDLE VERSION OF FROM LIGHT TO DARK AND BACK AGAIN ﻿CAN NOW BE FOUND ON ONE LINK. I've been published by Bridge House Publishing in their anthology, Alternative Renditions, and Baubles. My stories have also appeared online at Cafelit and in their Best of anthologies (4 and 5). I have short stories on Alfie Dog Fiction and humorous work, including poems, on Scriggler.com (which is US based). I also have short stories and humorous poems on the Shortbread Short Stories website. I'm a regular at the Winchester Writers' Conference and was delighted to be Commended for my short story, The Help Supplier, in 2011. I also go to the week long Swanwick Summer Writers' School and love meeting up with fellow writers at events like these. I also blog monthly for the Association of Christian Writers' More Than Writers blog spot.